This year, ELNET-Poland stepped up its partnership with the Warsaw Security Forum (WSF), the biggest security conference in the Central and Eastern Europe, which took place on November 6-9, 2017. ELNET-Poland invited two senior Israeli speakers to participate at prominent panels and held a special ELNET Roundtable on cyber and counter-terrorism with four Israeli experts and senior former officials, showcasing Israel’s knowhow in the field to international audience. Like in previous years, the 2017 Warsaw Security Forum Conference attracted key policy makers, industry leaders, as well as military and civilian experts from around the world to discuss events, trends, as well as opportunities and challenges lying ahead for the Transatlantic Community. 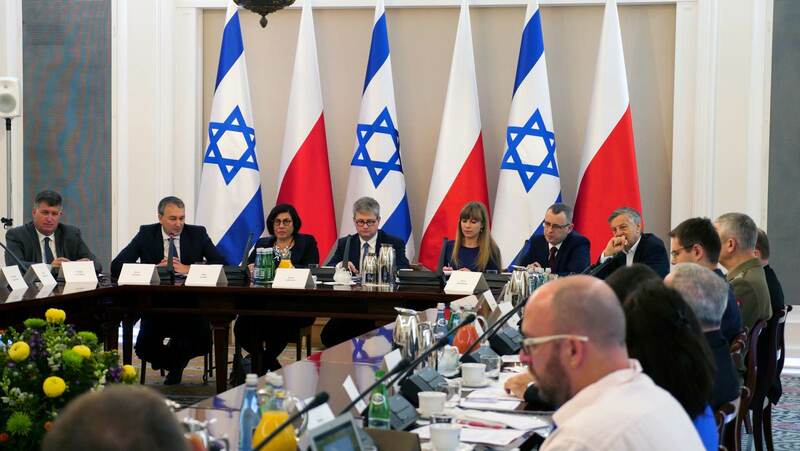 The conference took place back-to-back with the 4th Poland-Israel Strategic Dialogue organized by ELNET-Poland and the Forum of Strategic Dialogue (FSD) in partnership with the Polish National Security Council (BBN) and the Israeli Embassy in Warsaw. This years’ discussions were centered around three key security challenges for Poland and Israel: transatlantic relations, Russia, terrorism and Islamic radicalism. ELNET Roundtable on cyber security and counter-terrorism with participation of Brig. Gen. (res.) Jacob Nagel – former Acting Head, National Security Council (NSC), Isaac Ben-Israel – Chairman of the Israel Space Agency and Director of the Blavatnik Interdisciplinary Cyber Research Center at the Tel Aviv University, as well as Dr. Ori Goldberg and Lior Tabansky.